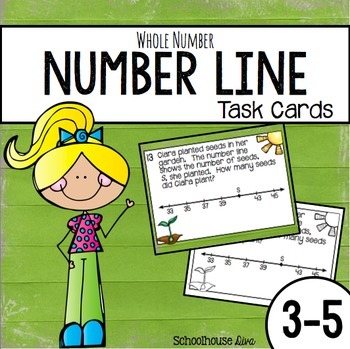 Number Line Task Cards: This set includes 24 whole number line task cards. 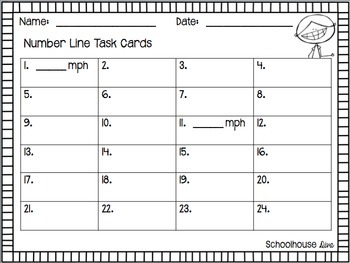 Task cards include different interval number lines, rulers, thermometers, and speedometers to familiarize your students with the many other types of number lines. 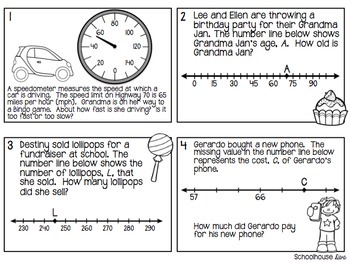 This set is for students working on how to read whole numbers on a number line. Color and ink-saver task cards included!! 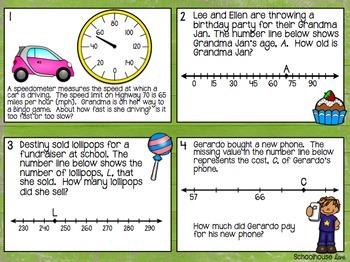 Find more fun activities here!